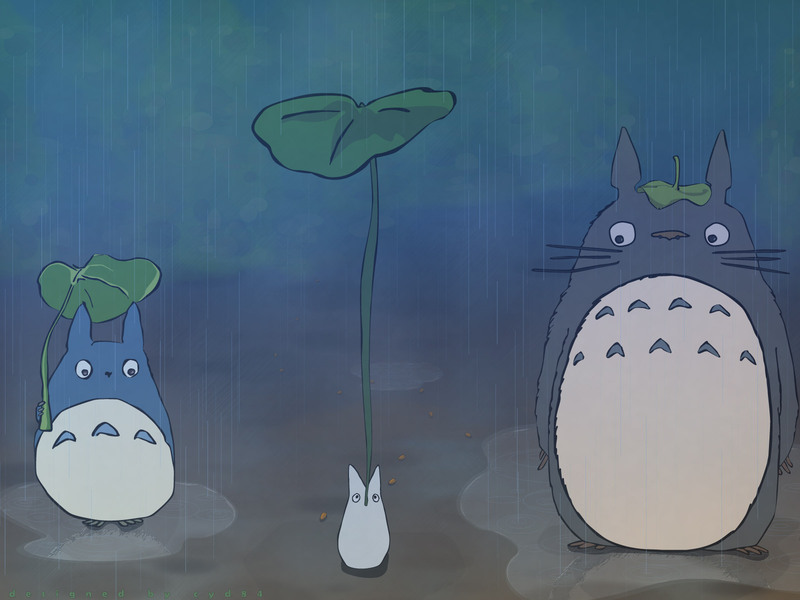 My Neighbor Totoro is amazingly cute, especially when we see wallpapers such as this one by cyd84. I love the colors and mood it is giving off. Yesterday, I actually watched this movie on television, so all the more reason to fall in love with this wonderful piece. Proposed by candy-chan and highlighted by bromithia. Great job on the rain splases. [Can't spell today...] The color blends well too. Nothing too bold or too sutle. The detail as you go back into the background is a nice touch too. Only thing I might nit-pick on is on the lines of Mid-Totoro. Just a personal preference. Heck, I might come to like it too. Very cool and very neatly done! I love the background colors and the painting feeling. Excellent job! so cute, I love the way how the outlines turned out ^_^, so cool! And congrats for the highlight! I love clean and simple wall like this. The color theme and the subtle texture in the background is just enough to find it beautiful. But I also like the stylish way of vectoring the totoros. it's so lovely totoro wallie ^_^ agree with you that there isn't enough of works made of ghibli's characters. vectors of different totoros are nicely done, lines are clear and colouring in them is very clean. it's so cute and funny when the smallest totoro has the biggest leaf as his rain cover when the biggest totoro have the smallest leaf XD colouring of the background really gives feeling of raining and puddle under the characters too. like the way how brownish colouring of the ground changes to the different blues tones of the raining sky. raining effect is also well done and it's nice detail that they are brighter than other blue colours on bg so you can see them but they aren't too striking :) overall very cute totoro wallie and great work ! thank you fo sharing ! I loved the movie, and you've done an excellent job of recreatiing the feel of the movie. My Gosh! It's so beautiful! Love it! Looks so cute! They are using the leaves as umbrellas! Aaawww! i love Totoro, nice wall! ^_^ lovvveeee iiiiiittttttt!